Try the usual thing of resetting your password. If the problem persists, please get in touch with our team so we can try and resolve it. You can reset your password. Just click on Forgot Password when you are trying to sign in to reset it. On any device you like, as long as it has a screen and it is connected to the internet, you will be able to stream the videos. Can I play videos when I’m not connected to the internet? No, you won’t be able to access your videos without an internet connection. I’m having problems streaming the videos, what can I do? Make sure you have a good internet connection. Issues with your broadband will interfere with the speed and sound of the videos. I have never done Pilates, what do I need to know? You just need a mat and access to the internet to follow our 12 week programmes. Pilates offers a great workout for men and women of all ages as it creates a strong, flexible and stable body. It is known to help prevent injuries, to help relieve back pain, neck pain and hip issues, as well as keep athletes at peak condition. Pilates is effective – we know, because we have been teaching Pilates for years and have seen our clients improve, even on just 1 hour of Pilates a week. Is it safe for me to practice Pilates? If you have back pain or are recovering from an injury or have a health condition then you should consult with your GP or medical practitioner before following these classes. Terms and Conditions. Pilates should be challenging but it should not be painful. If an exercise causes pain it is best to stop and undertake an easier version of the exercise or stop completely and rest – you will know your body and if it tells you to stop then stop. If unsure, please consult a health care professional such as your GP or Physio. I have a bad back, can I start Pilates? Pilates often gets recommended as a way of managing back pain issues by GPs, Physios, Chiropractors and Osteopaths. We always recommend that you contact your health care professional for advice on whether and when you can start Pilates. Pilates is a great workout during pregnancy, but the exercises and workout needs to be adapted to make sure it is safe for the mum and baby. We currently don’t offer a prenatal pilates programme, but if this is something you feel we should be doing, please do let us know. I have just had a baby, when can I start doing Pilates? According to the UK’s National Health Service, it is advised to wait until after your six-week postnatal check before you start any high-impact exercise. If you exercised regularly before giving birth and you feel fit and well, you may be able to start earlier. Talk to your midwife, health visitor or GP. We like to add that you need to listen to your body. Start when you feel ready. Also, if possible, please ask your GP, health visitor or midwife to check for Diastasis Recti – separating of the Rectus Abdominals – as this affects what type of exercises you can do. If you have Diastasis Recti, then we recommend you follow a specific programme for this, which we currently don’t offer. If all is well and your GP agrees, you can start the Pilates Beginner’s Programme. Can I eat before I do Pilates? That is completely up to you. You may want to eat something light so that your energy levels stay up, or you may want to do your workout on an empty stomach… Find out what works for you. When is the right time to do a Pilates Class? This is really down to personal choice and what works for you and your body. Some people prefer training in the mornings some in the evenings and others prefer just to fit it in when they can. How long will it take before I start to see the benefits of Pilates? Joseph Pilates famously said: ““You will feel better in ten sessions, look better in twenty sessions, and have a completely new body in thirty sessions.” And we know this is very true… When you start your 12 week Pilates programme, we know you will feel the benefits over the course of the programme, but when exactly will be different from person to person. When you purchase a programme, you will have to fill in an email address and password, which will become your log-in details. When you want to log in, simply scroll down from the home page and the login button will become visible in the menu bar, in the right hand top corner. I want to cancel my purchase? You can easily cancel within the free trial period, which is 7 days from the moment of sign-up. Just go to My Page on your Member’s page and cancel your trial there. Pilates is a great all-body workout that focuses on muscle control, flexibility, stability and strength. It has the power to transform your body, helping you to become leaner, stronger and free from aches and pain. It is not cardio based – no jumping, running or high-intensity interval training involved. Instead, it is slow, focused and controlled, but oh boy…does it work! Joseph Pilates, who devised the Pilates method in the 1920s, once said that “you are only as young as your spine” and how true this is. Age is not just a number, it is how the body behaves and Pilates has the ability to turn back the clock, anti-ageing your spine and your muscles each session at a time. Containing influences of yoga and ancient Greek and Roman exercise regimes, Pilates contains moves you may already be familiar with such as planks and sit-ups, but the difference is in the focus on correct technique and alignment, which makes it not only safer for the body, but also just that little bit harder. Whilst yoga has a spiritual side to it, Pilates has not. It focuses on how the body and the muscles move, which helps with improving body awareness and posture. However, there is no doubt that the mind also benefits from Pilates as it helps to quiet your thoughts and reduce stress. Doing regular Pilates is great for all ages – from teens to pensioners – and suitable for both men and women. And the best thing? 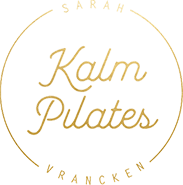 It never gets boring, because there are always new challenges within the exercises to make it harder if required… here at Kalm Pilates we will make sure of that as we aim to help you progress, be the best you can be. Why do GPs , Physios and Chiropractors recommend Pilates? Pilates comes highly recommended by many GPs, physiotherapists, chiropractors and osteopaths for one reason only: it works. A strong core with added flexibility in the right places and good posture will take away many pains and aches which is why medical practitioners are such fans of Pilates. And if you try it, you may be too, because within 12 weeks you can expect to see some great progress and results. Regular Pilates can help improve posture, strength, flexibility, muscle tone, balance and joint mobility. It can also help relieve stress and tension. From teaching Pilates classes for years, we have seen firsthand that doing regular Pilates – even just 1 hour a week – can have a huge effect on a person’s life. Our clients have mentioned a wide variety of benefits, from toning up to being free from aches and pains, as well as experiencing a surge in energy that allows you to cope with work and life. Pilates creates a balanced body that is strong and flexible, which is also why it works well in partnership with other sports, to prevent injuries and improve performance. Hence the reason many professional athletes do Pilates to keep at their peak condition. At present we have two programmes. Both are 12 week courses and are priced at £49. Signing up to the free trial means you will be able to try out the programme of your choice for 7 days. When you sign up, you will be asked to put in your bank details and after day 7, you will be charged to continue with the programme. If you wish to end your free trial, you can do so at any point within the first seven days. What sort of Pilates Programmes and Classes do you offer? At present we offer two programmes – a Beginners Pilates programme and a Pilates Programme for Back Care. However, we will be adding more programmes and if you have any good ideas then don’t hesitate to let us as we’d love to hear your suggestions! How long are the Pilates Classes and Programmes? Each programme lasts 12 weeks and each class lasts around 30mins. We ask you to do 3 classes a week to experience best possible results within the 12 week time frame. Do I have to do the Pilates classes in a certain order, and how often? When you sign up with your chosen programme, you will get access to your weekly videos. We ask you to do three short videos a week; of course, you decide where and when within that week you do your workouts. To achieve the best possible results within the 12 week programme, we do however recommend following the weekly schedule and not skip any workouts. If I have a comment or question about a class who should I ask? We absolutely love hearing from our customers and if you have a question about the programmes, the Pilates exercises, about the website then please get in touch.